Note: Due to a high volume of callers asking about our RTAB bushings, the bushing you will be receiving when you order this product entry is part number 33326770817. The 33326770786 bushing is available here. 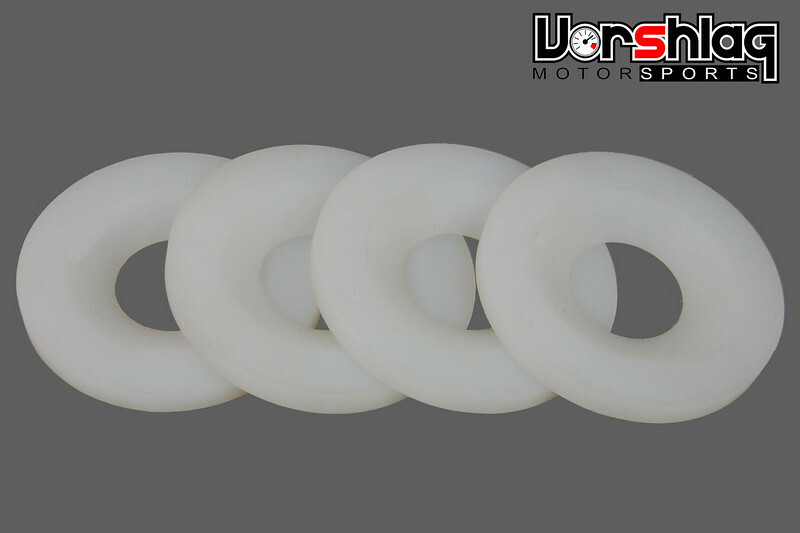 This product entry is for a pair of OEM replacement Rear Trailing Arm Bushings that will work on a BMW E36 (except ti/Z3), E46 chassis or Z4. 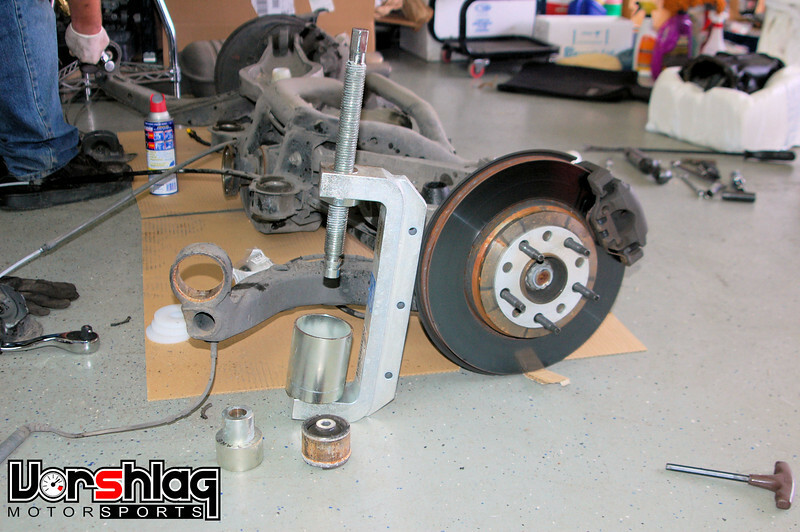 This kit is enough to replace both of the factory rear trailing arm bushings on any of these cars. These bushings are the latest "split-case" design from the Z4 M that use larger splits in the casing so the bushing is further compressed upon installed. This gives an increase in stiffness in the rubber while still providing factory NVH and handling characteristics. Bushings provided may be Lemforder or Meyle branded depending on availability. We recommend either "split-case" bushing design for all E36/E46 non-M and M models. These will not affect ride comfort and allow the rear suspension fully articulate without bind, unlike other replacement options out there. BMW lists this bushing (817) as applicable for some E36 M3s and all E46 M3 and Z4 M cars. 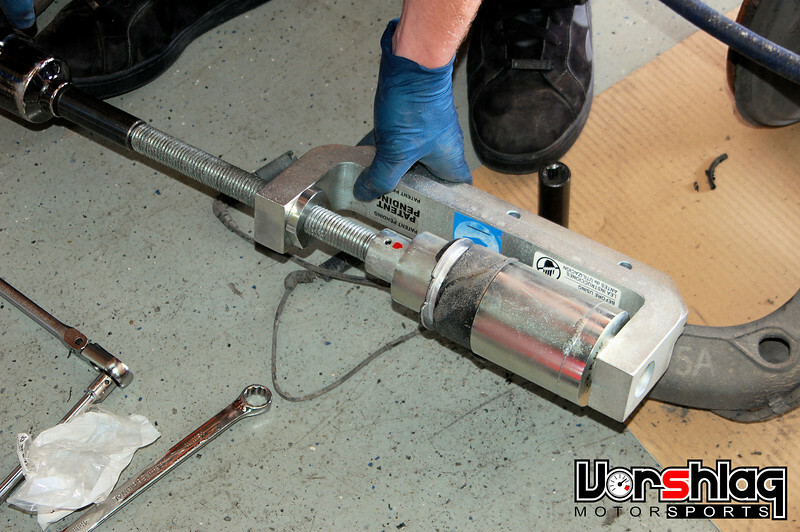 BMW lists the 786 bushing as applicable for the other E36 M3s and all E36 and E46 non-M cars. In the Rear Trailing Arm Bushing (RTAB) location on the rear suspension of an E36 or E46 BMW the bushing has to pivot on two axis. 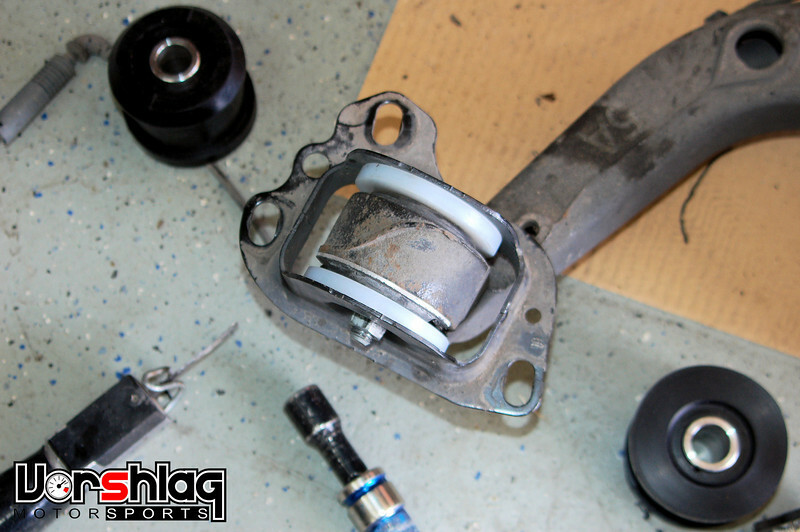 Unlike other suspension bushing locations that only have one axis of rotation, swapping in excessively stiff replacement bushings using materials such as Delrin or Polyurethane can and will cause suspension bind. 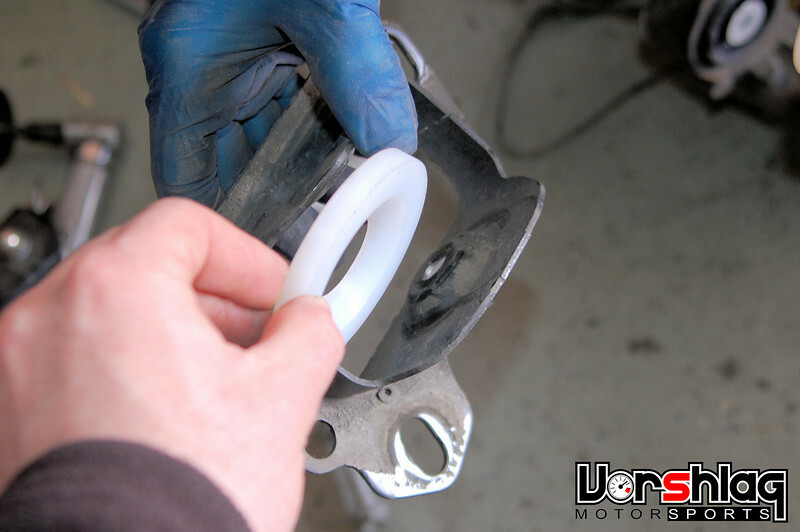 This replacement rubber bushing is compliant and effective when brand new but can still wear out over time. 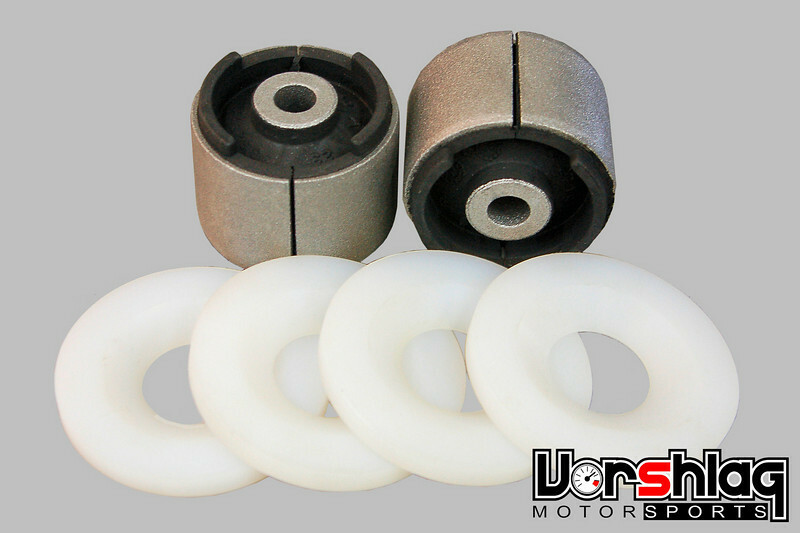 We highly recommend replacing them in any E36 or E46 BMW you purchase that has more than 20K miles, and we also strongly recommend using them with our RTAB Limiter Kit, which can be bundled with these bushings in the options below. Our RTAB limiters reduce the unwanted, excessive movement that can occur with the factory bushings while increasing the lifespan of the factory bushings. Many racers just blindly install polyurethane into this and all bushing locations as a "fix" for a worn OEM rubber RTAB bushing. Polyurethane is a bad choice for a bushing material if it has to deflect - such as in a multi-axis suspension bushing location like the RTAB. Rubber bushings + limiters or a complete replacement with a custom steel spherical bearing are the only two textbook choices for this location. We have seen a number of RTAB failures on BMWs that were using poly in these areas - an expensive repair and a dangerous racing situation. At the very least poly will add bind during significant suspension movement, and this can make the handling feel odd (unexplained oversteer) as well as add significant stress to the suspension-to-chassis mounts (which is how they can fail over time). That said, some folks with fully track prepared race BMWs have had OK results with polyurethane RTABs. This is due to the much higher spring rates and smoothness of tracks they tend to run with - higher spring rates and smooth tracks limit suspension travel, and thus limits the potential for bind from a polyurethane bushing at this bushing location. So even though you may hear good results from one racer, it doesn't necessarily mean that poly RTABs are the right choice for you. 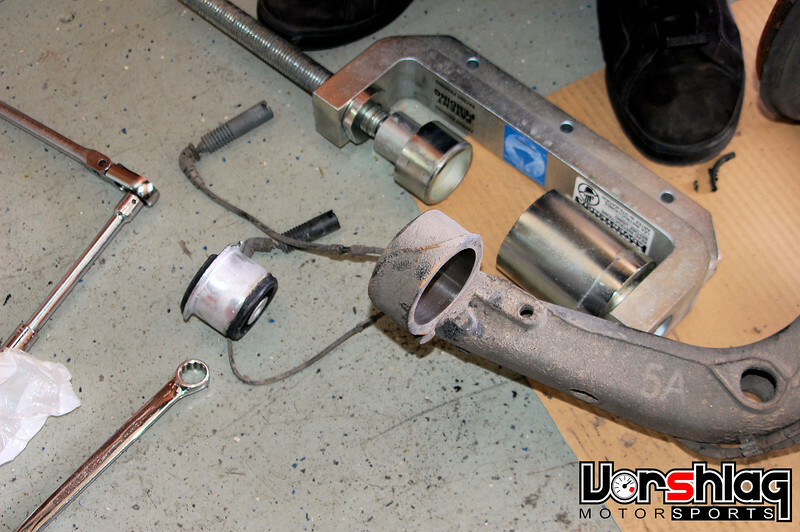 If you have a street car or dual purpose BMW you should always stick with OEM bushings and RTAB limiters, and even many race prepped BMWs use this setup with excellent results. These are a "set and forget" item - install this set of factory RTAB bushings with our Limiters and they should be good for many tens of thousands of trouble free street and track miles. Instructions for RTAB Limiter installation are found on our Instructions page. Installation instructions of the RTAB bushings themselves can be found in your Bently service manual, and we have a gallery here as well. There are tools available to help make the RTAB installation easier. Shipping weight is 2.0 pounds. If you are replacing everything you can bundle a set of Vorshlag RTAB Limiters with a pair of RTAB replacement bushings and save!